Used for tilling established gardens or medium size areas. 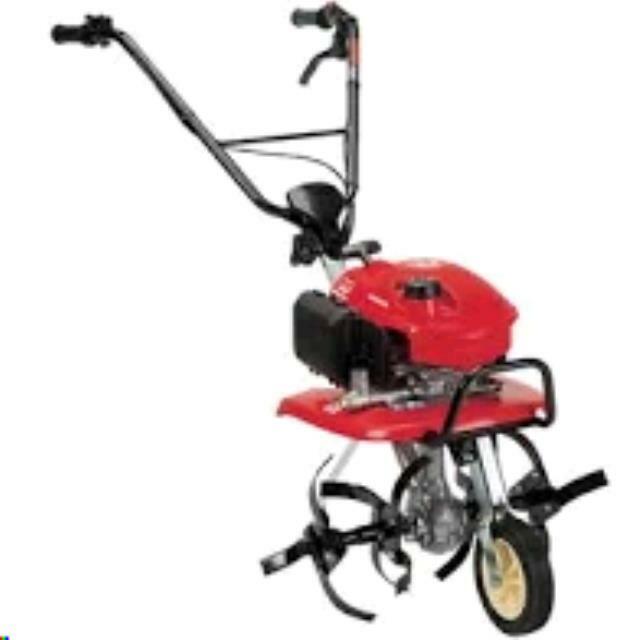 Does not work as well as rear-tine for areas that have grass, weeds, or compacted soil. Can be transported in a car trunk. Unleaded gasoline. Fuel "ON" when lever is to the right. Models w/ 21" or 26.4" tilling widths. Larger mid-tine model has 14" tine diameter and adjustable drag bar. Tillers do not have side discs.